Conceived back in 1960, Jaquar Group is built on the platform of highest quality standards, aesthetics and with the intent of exceeding customer expectation. It pays a tribute to the fine traditions of exquisite craftsmanship and precision where design, technology and talent combine to deliver a masterpiece. Artize products are crafted for luxurious bath spaces. Perfect harmony is the very essence of Artize either together as coordinates or even as individual pieces. 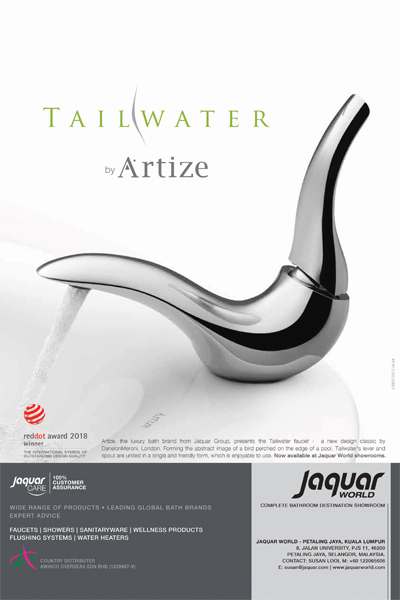 Artize exquisite craftsmanship is so stunning that they can inspire the design principles of not just your bathroom spaces but of your entire living spaces. A leading global super brand known for its excellence in innovation and technology. The highest build standards combine with the most beautifully designed aesthetics to provide world-class products for tough conditions. With a superb blend of ergonomic shapes, contemporary styles and meticulous finish, Jaquar continues to enthrall millions of hearts across the world with its wide range of concepts and products.